There are tens of thousands of serving British troops including Gurkhas and Reserves, who sign an oath of allegiance to protect Her Majesty, Her Government and Her Citizens at all cost, they are doing it now. Our Nation has lost hundreds of serving personnel in recent years and many more have lost limbs and have suffered traumatic stress caused by the hostile combats they are fighting in. We carry on with our lives freely walking the streets knowing we are safe from harm. This freedom is bought by our combatants who risk their lives and limbs daily. For them to build a new life with the burden of traumatic stress and a limb or limbs missing is a demoralising and lonely journey. We at SWS RnR start them on that journey. We are a registered Charity that provides this invaluable service entirely from public contributions. PLEASE GIVE A LITTLE BECAUSE THESE SOLDIERS HAVE GIVEN EVERYTHING. 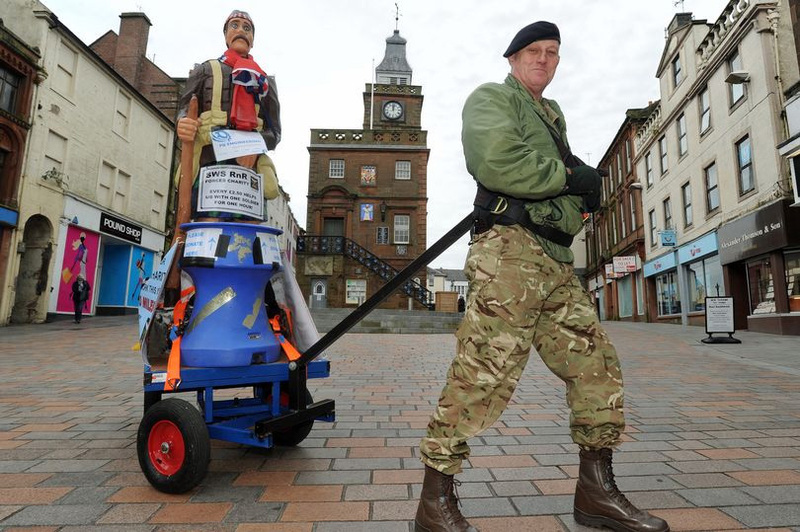 Robin Hood is planning to hike more than 400 miles from Dumfries to the Cenotaph in London next year. 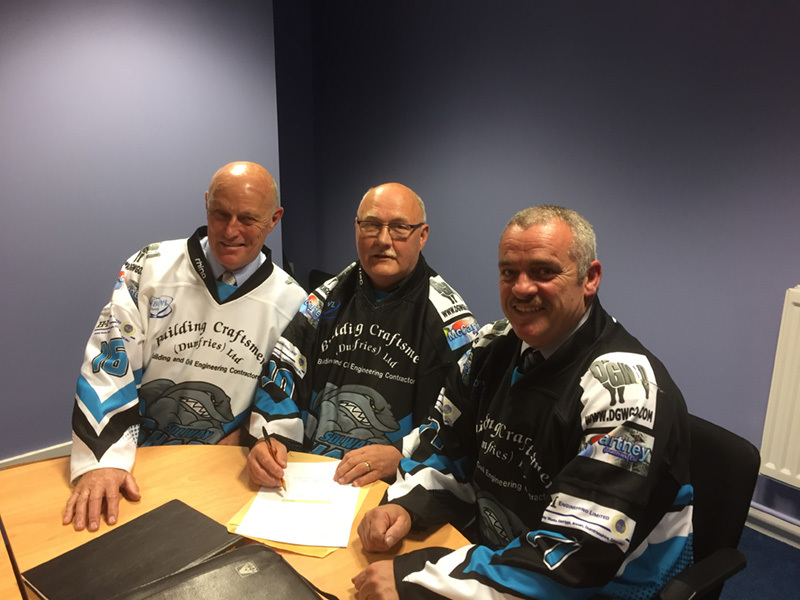 Solway Sharks take SWSRnR on as Charity of the year in what will be the 100th anniversary of the end of WW1. Aldi stores in Dumfries and Galloway have allowed "Jock" and Robin on site to promote the work we do and sell our replica Pin Badges, which obviously create more awareness when worn. We are amazed at the response and smiles "Jock" has bought to peoples faces as well as raising significant sums of money from the very generous people of Dumfries and Galloway. 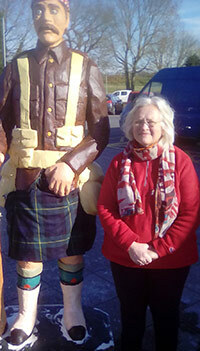 So far we have been to Dumfries, Newton Stewart and Annan. Every £2.50 we receive pays for one hour's care for a guest at our excellent residential facility including the activities which are available to Serving Soldiers and Veterans.